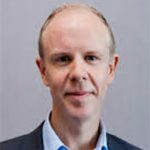 The significant role capital plays in shaping our society and environment – both positively and negatively – is in focus more than ever before, writes Simon O’Connor, CEO of the Responsible Investment Association Australasia. Many investors are beginning to look at the impacts of their investments to gain a better understanding of the contributions they are making to communities and the planet. Consumers too are starting to demand their investments be invested responsibly and ethically. At the same time, not-for-profit organisations and social entrepreneurs are exploring innovative ways to expand the size, scope and sustainability of the work they do in addressing societal challenges, and to supplement funding provided by government and philanthropy. Impact investing is capturing the interest of all of these groups. And with nearly $6 billion of capital now being put to work to deliver a better society and environment through impact investments in Australia, we are now getting an insight into the potential of capital markets as a force to be harnessed for achieving a more prosperous and sustainable Australia. The Benchmarking Impact: Australian Impact Investment Activity and Performance Report 2018 – published today by the Responsible Investment Association Australasia (RIAA) in partnership with the Centre for Social Impact (CSI) at Swinburne University – presents the findings from analysis of impact investment activity and performance for a data-set of 51 Australian impact investment products active at 31 December 2017, with a total value of $5.8 billion (quadrupling from $1.2 billion at 30 June 2015). 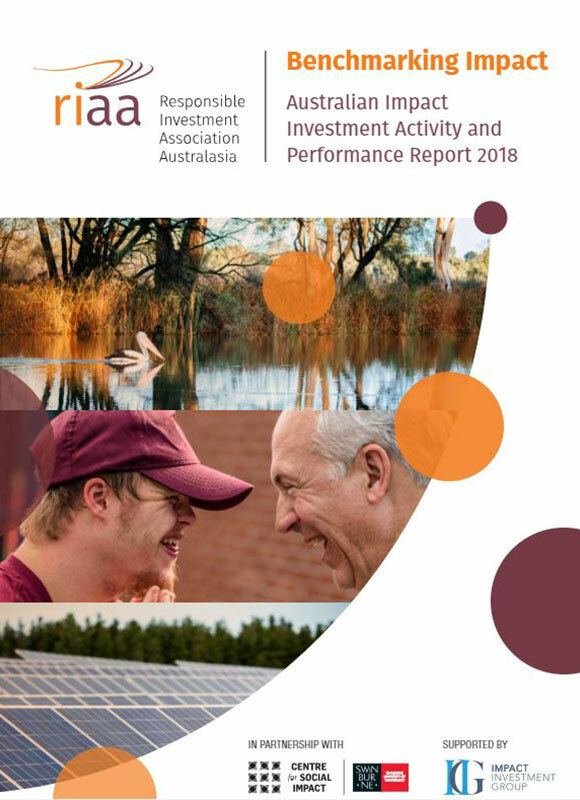 The report reveals a diverse market delivering positive financial returns for investors while also benefiting the environment, reducing our emissions and impacting the lives of tens of thousands of people through employment pathways, education, and health services among other activities. The reported social and environmental impacts of investments are diverse and include: 700 vulnerable families assisted, 369 employment pathways or jobs created; 22,688 students supported; 1069 clients receiving health and well-being services; 2,110,000 tons of CO 2 -e avoided or abated, and 950 megalitres of water delivered to wetlands, creeks and ecosystems. Green bonds have made a significant contribution to the growth in impact investments. Funds raised through green bonds are financing projects including renewable energy assets, energy efficiency initiatives and low carbon public transport. From social impact bonds to private equity, other types of impact investments have also grown rapidly, from totalling $300 million in 2015 to totalling nearly $1 billion in 2017. After green bonds, investments in property and infrastructure are the next biggest type of investment. By number, the majority of impact investments are in private debt, much of which is made up of loans to social enterprises. Impact investing continues to provide a crucial avenue for many impact-focused businesses to grow their businesses and deepen the positive impact they are having on society. Environment-focused investments (96 per cent) far outweigh socially focused investments (4 per cent) on a dollar-weighted basis. This is heavily influenced by the rising dominance of green bonds. However, socially focused investments comprise most of the data set by number of investments made (62 per cent), with the largest allocation by number of social investments being in housing and local amenity. Benchmarking Impact 2018 shows that the UN Sustainable Development Goals (SDGs) are gaining significant traction as a framework for measuring impact, highlighting the important role of finance can play in helping contribute towards achieving these important global goals. The most significant investment in dollar terms is aligned to ‘Goal 11: Sustainable Cities and Communities’, above the other 16 SDGs. Benchmarking Impact 2018 is an important resource for both providers of capital and organisations exploring impact investment as one way to finance their work and increase their impact. 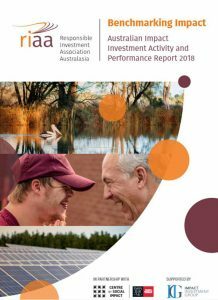 The report shows how the impact investment market is growing in Australia and sheds light on the diversity of products, investment strategies and types of social and environmental impacts being measured. From small beginnings only a handful of years ago, impact investing is now finding its stride in Australia and globally. Encouraging collaboration between all kinds of stakeholders including community organisations, philanthropists, businesses, investors, government and entrepreneurs, impact investing promises to play an important role in shaping our society into the future and importantly, helping redefine the purpose of finance.